“It takes two to make a thing go right” … The funky wisdom of an ‘80s hip-hop hit applies to the world of opera as well. When two exceptional scholastic programs focus on a common project, something spectacular happens. 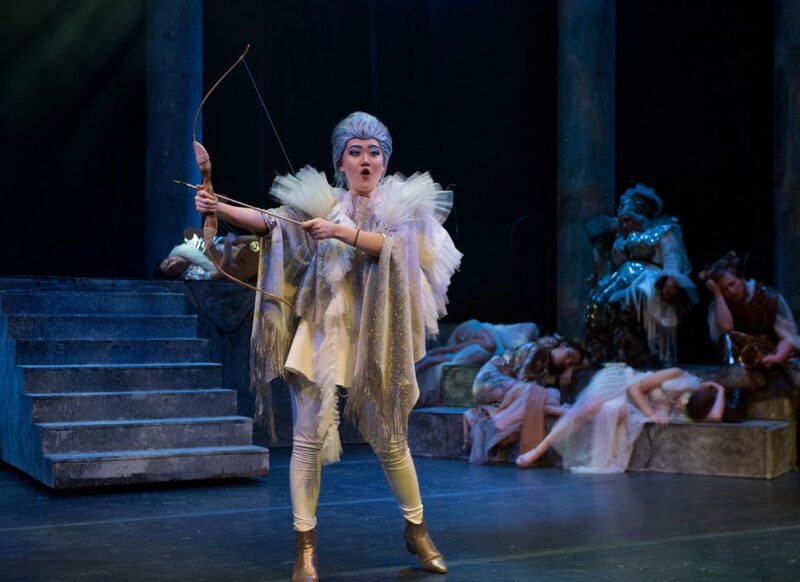 In this instance, the fantastic outcome premiered in June when the UC Santa Cruz Music Department performed the operetta Orpheus in the Underworld in costumes created by MFA Costume Design students from the Academy. 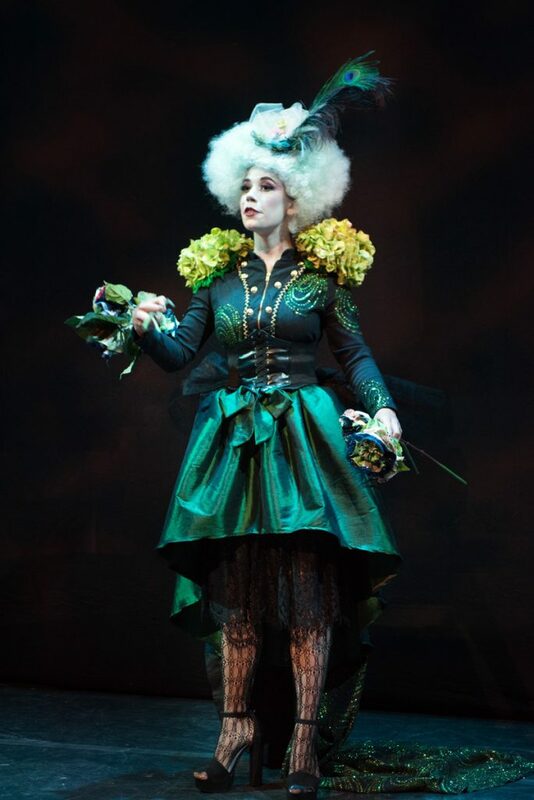 The six-month project was the brainchild of Alina Bokovikova, Costume Design Coordinator at the Academy, and Sheila Willey, interim opera program director at UCSC. 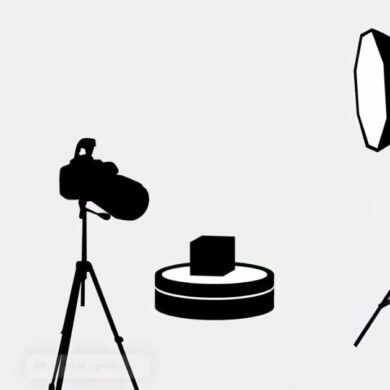 Here are some insights on how the process worked. Every year, the UCSC Opera presents two free chamber-length family performances, one in the fall and one in the spring. These donation-funded productions cast mostly undergraduate students. 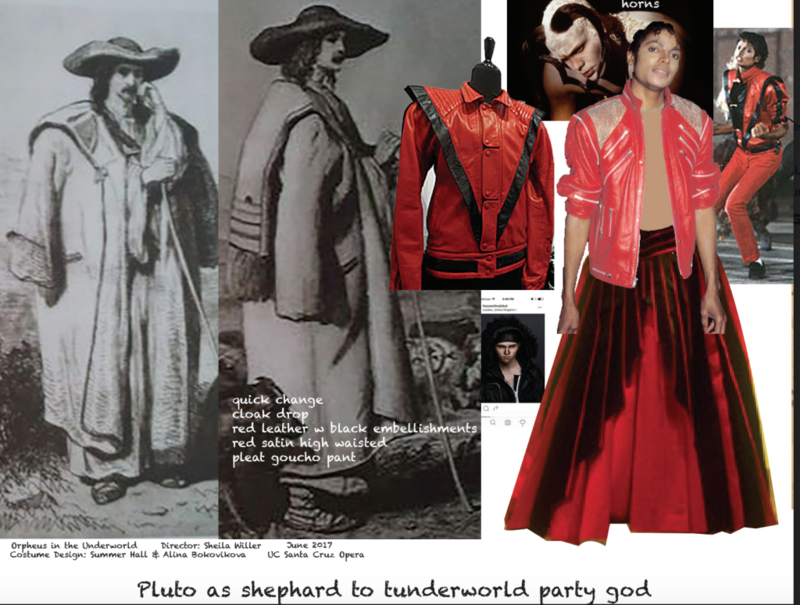 When preparing for Orpheus in the Underworld, Sheila Willey got in touch with Alina Bokovikova to see if she were available to design the costumes. “The Academy has a great program and great students who can put it together,” thought Bokovikova and suggested an official collaboration between the two schools. The rest is beautiful history! All Academy participants had an exciting, even if at times challenging, experience of working on a real theatrical production instead of a hypothetical project with a million-dollar budget and no creative or logistical restrictions. This performer cannot walk in high heels. That performer won’t be able to wear an elaborate headdress. There is no time for a complex costume change here. Bokovikova notes that “the level of stress is truly what makes it different. In a ‘paper’ project, it’s just your job, but in the real world you are accountable to the expectations of everyone involved”. The pressure is real and it mounts as the opening day looms large. 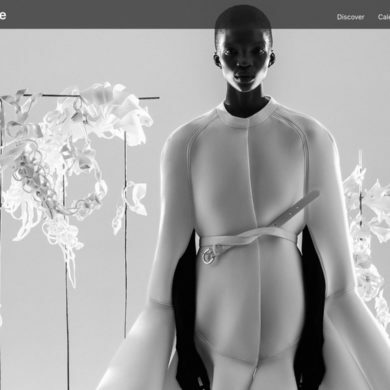 Curtain call is for designers as well! Will it happen again? “Absolutely,” says Sheila Willey. “It is ideal for schools to work together in this way to provide workshop opportunities for real-life professional skills.” Another collaboration is planned for Mozart’s The Magic Flute in Spring 2018. We look forward to checking it out!